Stainless Steel Types: What’s the Difference? 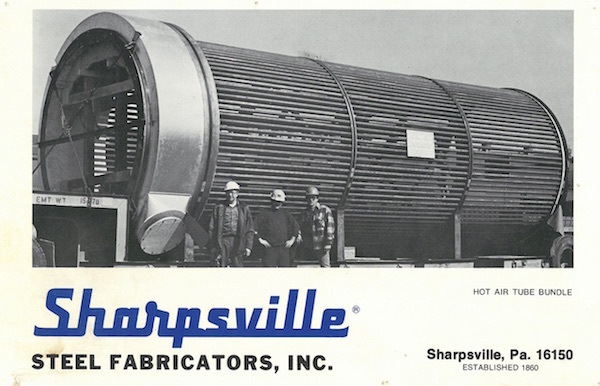 In 1860, Sharpsville Steel Fabricators was another manufacturer pulled into the petroleum boom and the emerging petro-chemical business. Indeed, the company fabricated the first iron tank used by Colonel Drake of the oil industry. The Civil War and the expansion of the iron and steel industry enabled the company to further diversify its products. In the Archives of the Sharpsville Historical Society, there is a picture of the facility taken during the Civil War. It shows draft horses pulling a wagon through the huge doors at the West end of the plant. Mounted on the wagon were metal fabrications that were actually components for fighting ships being built during the Civil War. 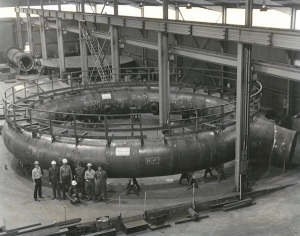 The growth of the automobile industry required the fabrication of storage tanks for refineries, bulk and service stations, and tanks for transporting petroleum products. One of the company’s early achievements of national prominence was the manufacture of the first motor driven meter pumps now found in all gasoline retail outlets. 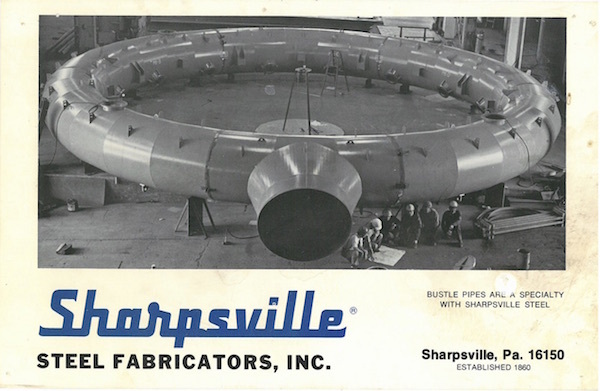 In 1990, the business was re-christened, “Sharpsville Container,” where the focus of the company was shifted to high quality stainless steel vessels and roto-molded plastic containers. Today, Sharpsville Container Corporation provides value added services and high quality products to a multitude of customers throughout North America and the World. We strive for success through relationships and accomplishments.